I have lived in Southern California my entire life. I have been married to my husband George for 36 years. I am a registered nurse(37 years!) and currently work at a large community hospital as a nurse manager. I have 2 adult daughters, Kim and Kelly, who have blessed us with 3 wonderful grandsons. How long have you been scrapping? Have you ever paper scrapped? When did you make the switch to digi and why? I have been digi-scrapping for just under 2 years now. I was never a paper scrapper, I tried but just did not have the patience or time. I just could not deal with not having just the right element or paper to put on a page to help tell the story of the photos. My oldest daughter, Kim had made the switch from paper which she was awesome at to digital and she gave me a lesson and I created the Instant Granddaughters layout (see below) as part of that lesson! What do you feel is your strongest scrapping skill? Your weakest? My strongest skills are titles, clustering, and kit mixing. My weakest is most definitely page design. I really only love 1/2 of the ones I have done without templates. Next would be journaling especially non-happy stuff. What advice would you give someone just starting out digi-scrapping? Find a digi home that feels right to you and get involved then just start scrapping. I really only learned by doing and I love to keep learning new techniques and skills. Describe your scrapping "system"... What program do you use? Where do you start first - photos, papers, elements, journaling? Do you always have something in mind when you start, or do you let your creativity guide you? How long does it take you to complete a layout? I am using PSE8 now but would love to make the leap to Photoshop to stretch my skills. I start a layout with photos. If I have a kit I need to scrap with, I have to find photos that will be complemented by that kit. Color and theme drive that the most. As I said above, I most often scrap with templates, so next is to find one that works with the photos and/or kit. I usually have a vision of what I want the layout to look like as I start it. On average, how much time do you spend scrapping each week? I usually do 1-3 layouts a week depending on what my work week is like. I have worked hours on one layout if it does not get near that starting vision. I hate giving up and will try several kits and page designs to make a layout work. I am most definitely NOT a speed scrapper! Describe your perfect scrapping environment - coffee? soda? music? snacks? I scrap sitting on my comfy couch with my laptop in my lap. A cup of coffee or glass of water is usually next to me and my husband is usually watching TV. What's your favorite thing to do BESIDES scrapping? Spending time with my family is my most favorite thing to do. I love to sew, garden, and read as well. What is one thing you would love to do, just so you could scrap it? I want to go on another cruise. We have been on one, to Alaska and those were some of my first layouts and the only album I have scrapped. I want to go on another one so I can scrap it! Who inspires you in the scrapping community? Any person or site in particular that you look to for inspiration? Oh that is easy, my daughter Kim is my biggest inspiration. 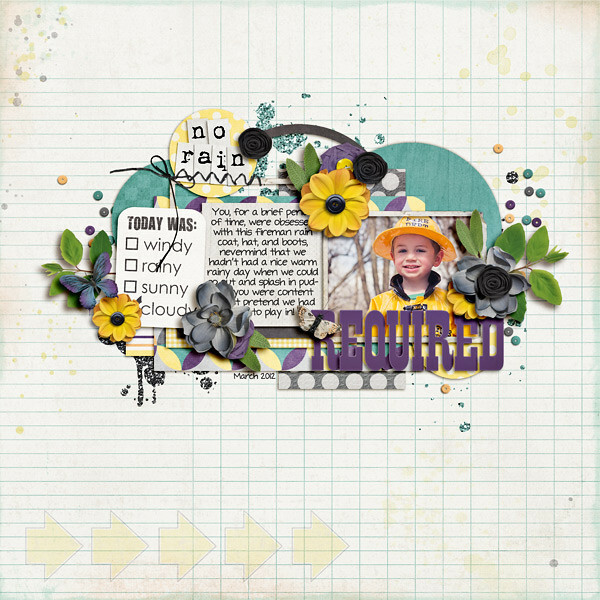 I did a layout about my digiscrap daughter! I love her layouts, she has so much feeling and emotion in them and I love her page designs. 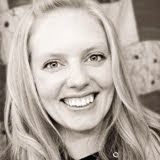 Another scrapper that inspires me a lot is Andrea Newby of Little Green Frog Designs. Her page designs are soooo creative. If you could have Amber create a kit just for you, what colors, theme, etc would it be and why? I finally got brave and asked Amber to create a kit. 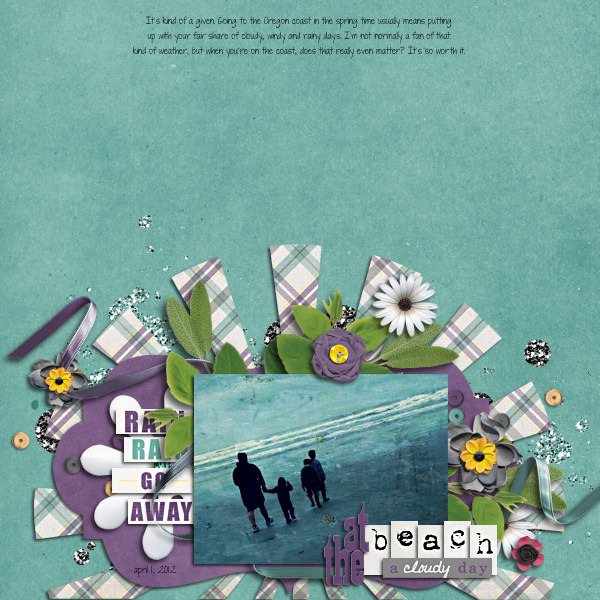 Our family is going to the Oregon coast for vacation in a few weeks and I asked her to create a beachy, vintage, eclectic kit that I can use to scrap our vacation photos with. I love Amber's vintage, artsy style and colors she uses in her kits so I cannot wait to see what she comes up with! Scrapping these photos so I could hang them up together was the reason I wanted to learn how to scrap! These are our 3 step-granddaughters at Kim's wedding. Took me 2 years to scrap this page! 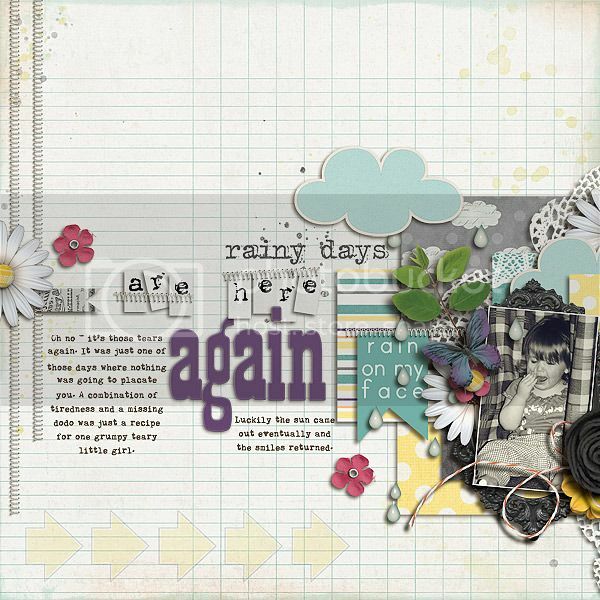 This layout was my first attempt at page design as I "learned" to scrap using templates. I did use a build your own template starter but the page design is my own. I have the best sons-in-law in the world, so I was really happy how this turned out. 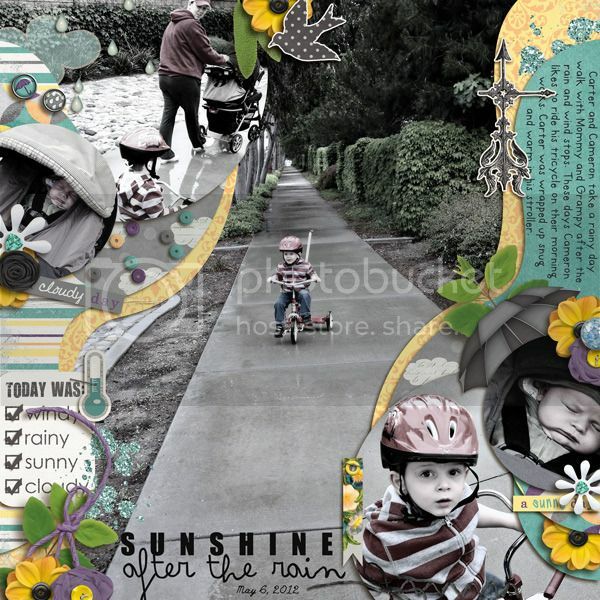 A whole bunch of favorites in this layout starting with my 2 adorable grandsons, Aaron and Cameron. These are photos from 3 trips to Disneyland and California Adventure during spring break 2011, a most favorite destination for our family. I also love full page blocked designs and this one is my favorite of all those ones I have done. We live just a few miles from our youngest daughter and her family, so everyday moments of our grandson Cameron have been the subject matter of a LOT of my layouts. Now with his baby brother, Carter, I will have lots more photos to scrap. I love playing around with photo treatments and liked how the desaturated colors looked with the kit and the made it look like a rainy day. I love Amber's retired kit, Making Me Smile. This was a cell phone photo taken by my son-in-law in front of Sleeping Beauty's castle at Disneyland. I had shied away from using cell phone photos but could not resist this candid shot of my grandson and me. 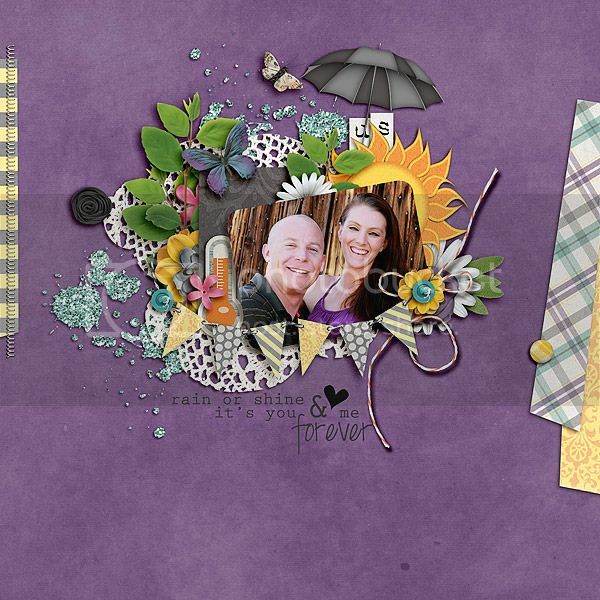 Debby's layouts are fantastic, don't you think?! I'm always browsing her gallery to see her newest layouts. 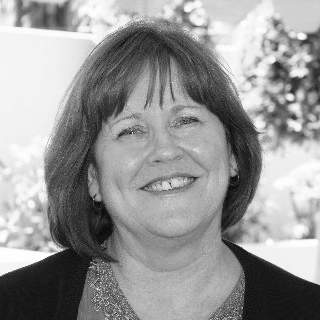 To see more of Debby's inspiring work be sure to check out her GALLERY! Ok, fine - neither do I.. BUT.. One of my favorite things in scrapbooking kits is the look of newsprint.. But how fun is it to see inverted newsprint! (That's kind of backwards, right? .. I know, I know.. it's a stretch...) Anyway, I'm releasing this super fun alpha to my guest store at The Digichick today, and it's on sale for 20% off thru Saturday. At the beginning of the year, I set some goals for myself. One of them was to do a certain number of collabs, and for at least some of them to be with designers I've never collabed with before. I put my trust in my trusty CT for some suggestions, and this one is a true gem! Mirjam of Pink Reptile Designs is an absolute joy to work with! She was a new-to-me designer when she guested at ScrapMatters a few months ago, and I can't believe I've been missing out on her incredible kits for so long! Take this one, or this one, or this is one of my faves.. Anyhow.. here's the little kit we came up with together..
As always, the kit is 20% off thru Sunday.. Happy Thursday! I hope you've all survived NSD and were able to spend oodles of time shopping or scrapping or both. Today I'm unpacking my grab bags at both stores, and everything is on sale. So if you weren't able to pick up the bag(s), you can still get the bits and pieces you want for a great bargain. This is going to be an image-heavy post , so I'll cut the chit-chat here. At ScrapMatters... these are all 30% off thru 11:59 PST Thursday with the final day of the SM iNSD sale. I began digi-scrapping in July 2009 and I instantly loved it; where has this been all my life?! I never was a paper scrapper, but was pretty handy around a computer. It helps that I have a fun muse (and constant source of photos) – my now 4 ½ year old son. I’ve just grudgingly entered “the 40s,” I’m married and have my son, a 115-pound lap dog - Raven, and Henry Cat. 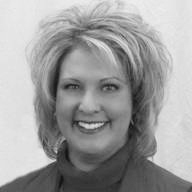 For my day job(s), I am an insurance agent part-time and also work for my husband in his business as well. I wear LOTS of hats. It’s a wonder I have time to scrap! How long have you been scrapping? Have you ever paper scrapped? When did you make the switch to digi and why? Been digi-scrapping since July 2009. My friend Maria convinced me to try it and I was instantly hooked! What advice would you give someone just starting out digi-scrapping? If you don’t know your scrapping program very well, get familiar with it! There are plenty of places in the digi-scrapping world to get tips and hints. For example, do some challenges in the forum – it’ll help you learn new skills! And if you want to try something that someone else did in their LO, ask them! Fellow digi-scrappers are helpful (and will be honored that you asked!). Describe your scrapping "system"... What program do you use? Where do you start first - photos, papers, elements, journaling? Do you always have something in mind when you start, or do you let your creativity guide you? How long does it take you to complete a layout? HA! I wish I had a formula. Usually I start with photos, then find a kit and maybe a template pack that I want to use. Journaling is SUPER important to me, so I always make sure I leave plenty of space for it. I don’t always have something in mind – if I did I think the finished product would look a lot different than what I envision which is why I don’t like to limit myself at the beginning. It takes me several hours to complete a LO (even if I use a template) because I’m soooo picky! On average, how much time do you spend scrapping each week? Probably 6-8 hours, but I wish it was more. Describe your perfect scrapping environment - coffee? soda? music? snacks? Okay, my perfect scrapping environment is something I still strive for: no hubby or child to interrupt, a great action/comedy movie on TV, a cold Pepsi One over ice and some white cheddar popcorn. Wow... that’s pretty specific, huh? LOL! What's your favorite thing to do BESIDES scrapping? Quilting and fabric dyeing. What is one thing you would love to do, just so you could scrap it? Go to Japan and be a Samurai for a day. Who inspires you in the scrapping community? Any person or site in particular that you look to for inspiration? Oh my… that’s such a hard one! I don’t think there is any ONE person that inspires me, but I love to scroll through the store and/or the gallery and see if anything calls to me. The talent that’s out in digi-land truly is inspiring! If you could have Amber create a kit just for you, what colors, theme, etc would it be and why? I love every kit that Amber makes – they’re all in my go-to stash. I think something that might be missing for me is a good Amber-ized Zoo kit. I’ve got a few cutesy, bold cartoon kits, but I’d like one with muted colors and Amber-style elements. This was my first layout! As I look back, it’s not horrible, but I probably will revisit it soon to use the skills I’ve acquired since then. I had made homemade play-doh and chronicled it. This was the night before our big Day out with Thomas in Connersville, IN. We spent the night before in that town since it was several hours from home and we found this park to play in. This LO is one of my faves b/c I tweaked the color of the photos slightly to blend with the kit. This one about the golf cart is one of my faves because it makes me laugh every time I look at it! I am transported back to the lake and how serious you are about the golf cart. This is a remake of an older layout. This was my son’s gift from my in-laws for his 2nd birthday. This was a fun LO to do – I made it ‘a week in the life of Andrew’ and I will treasure this one forever. I’ve discovered that it’s the snippets of real life that will mean the most someday. Cara is seriously inspiring don't you think? To view more of her layouts please check out her GALLERY! Well, iNSD is finally upon us, and I'm SO excited to announce that I'm guesting at The Digichick for the month of May! It's been a total riot hanging out with these ladies behind the scenes for a few weeks - I'm sure the rest of the month is going to be amazing! And speaking of amazing... I've got an awesome grab bag available to celebrate! As you can see, there's lots of versatility here.. If you want the full reveal of what's inside, you'll have to go check out the store... In the meantime, go check out my Facebook page for some fun NSD Survival tips - there's still time before the big weekend hits to get prepared.. ;) And if you haven't already, be sure to "like" my page, as there will be TWO fantastic freebies available exclusively for my fans! ETA: Oh! I forgot to choose the winner from my sneak peek/guessing contest.. Maca - you've won ALL my Digichick releases for the month of May. 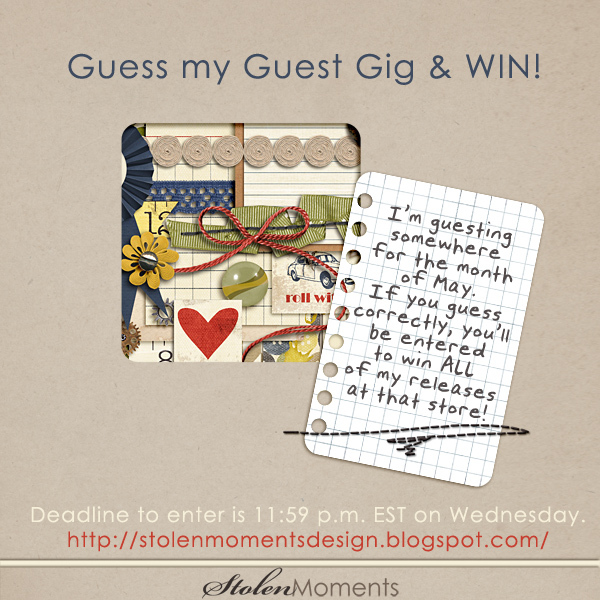 Please email me to find out how to redeem your prize.. :) stolenmomentsdesignATgmailDOTcom.